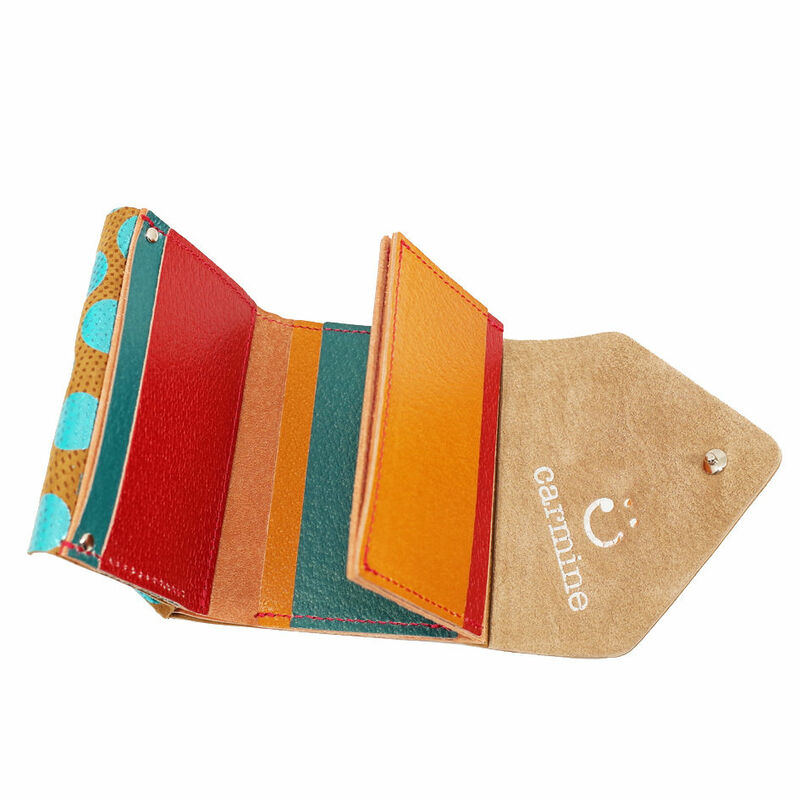 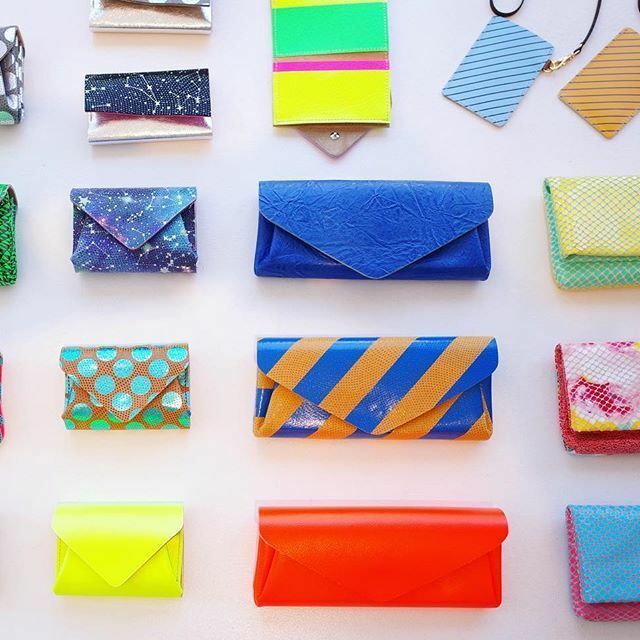 A compact three-fold wallet that you can put bills without folding them. 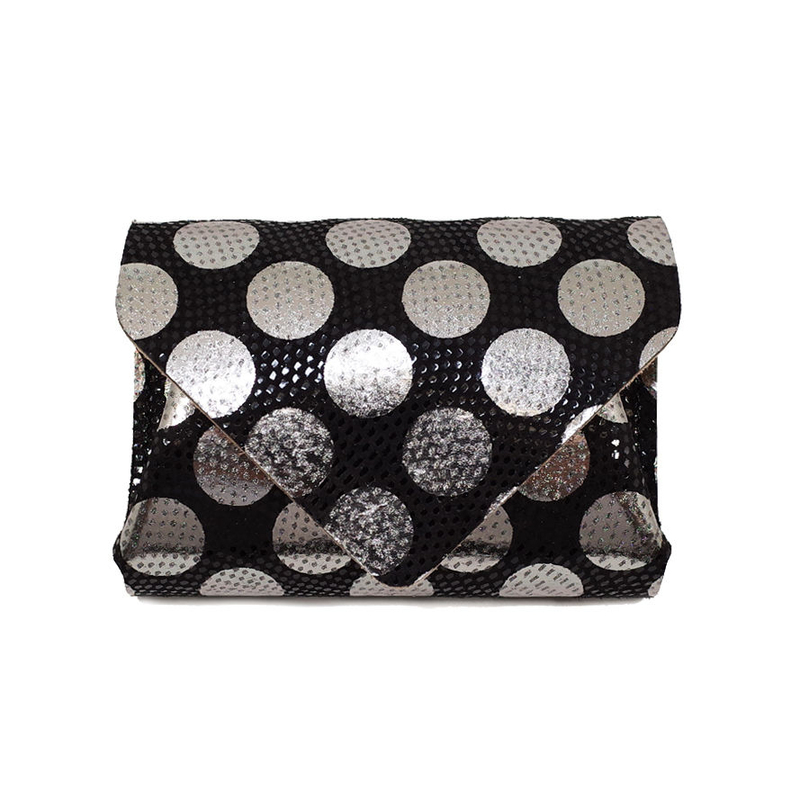 This is the smallest size in Dot series. 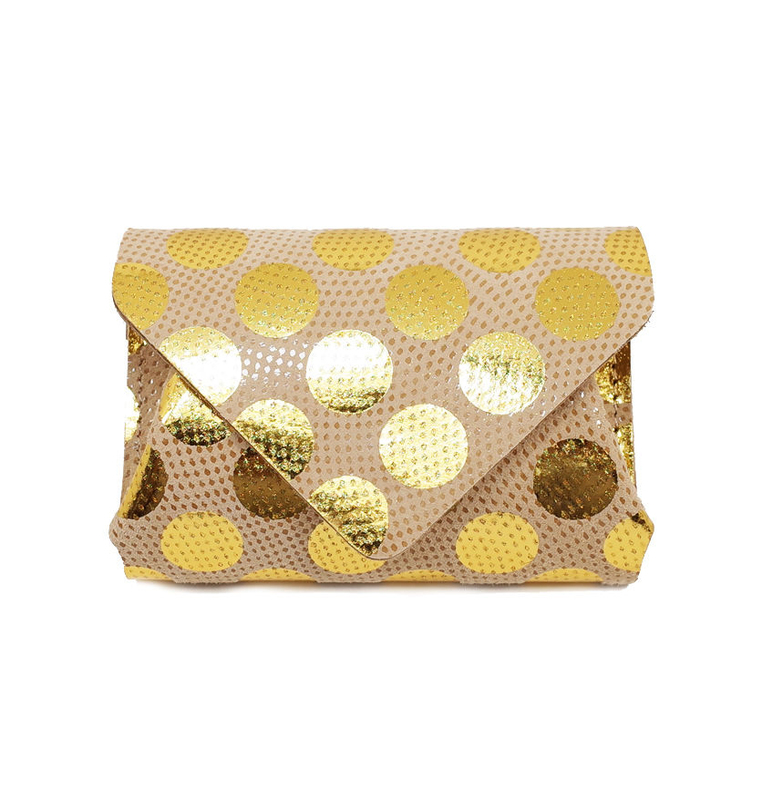 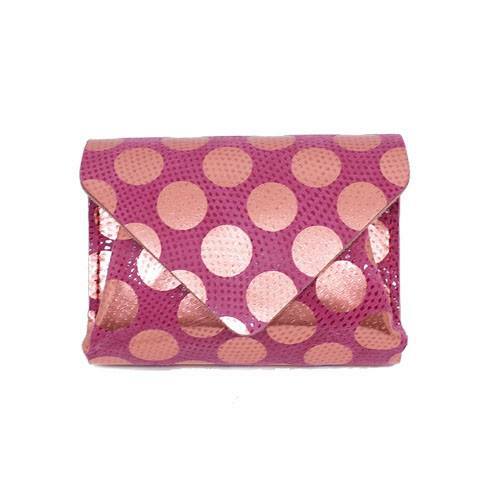 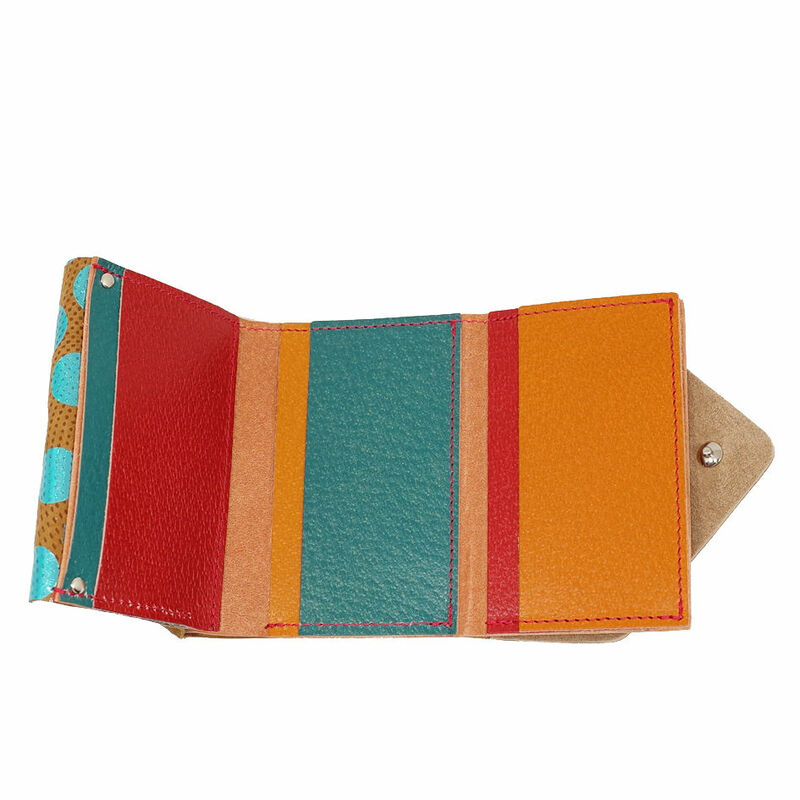 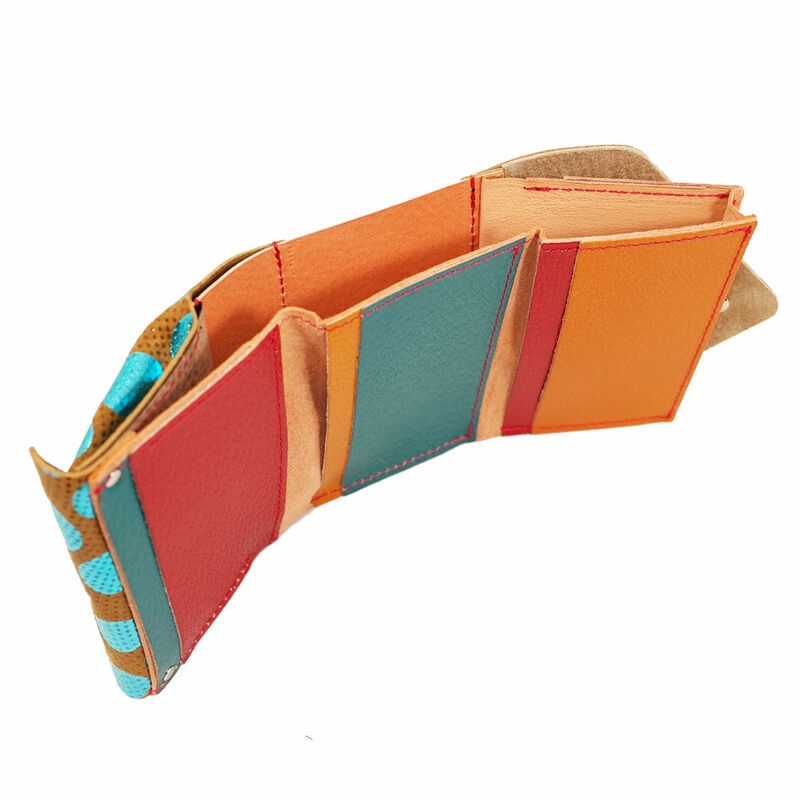 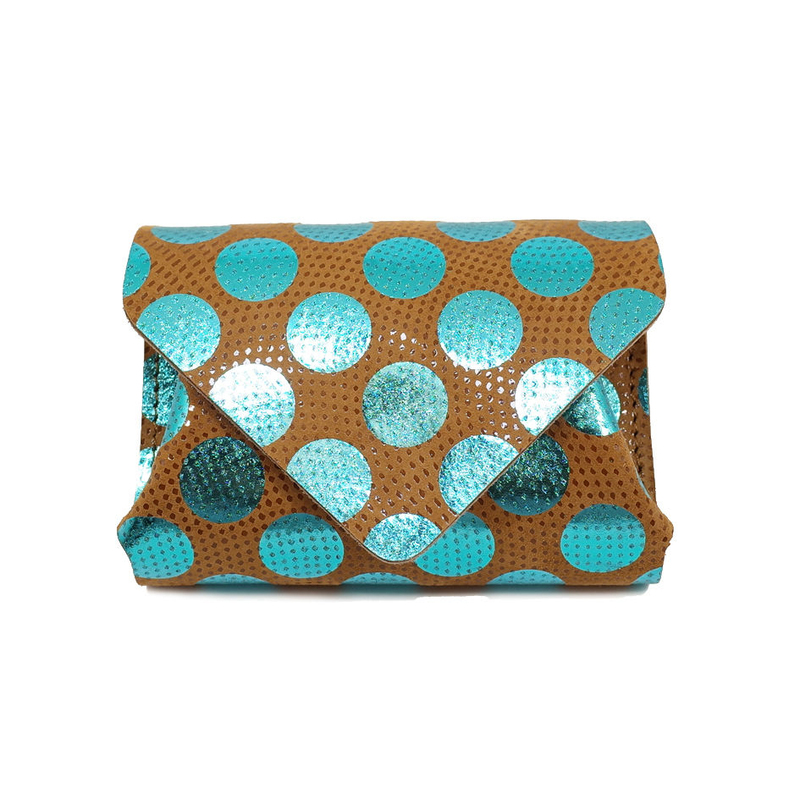 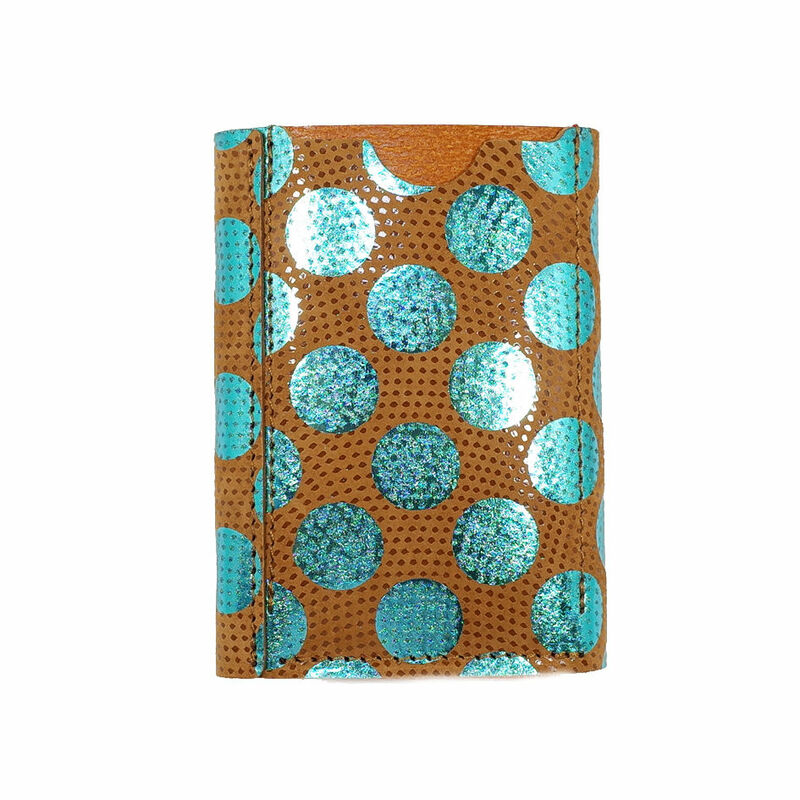 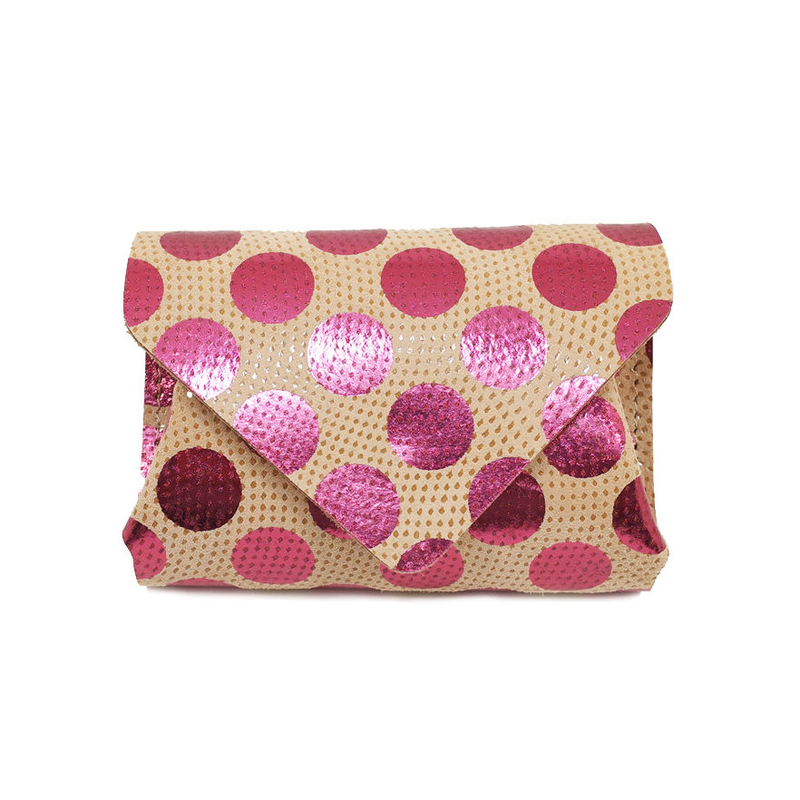 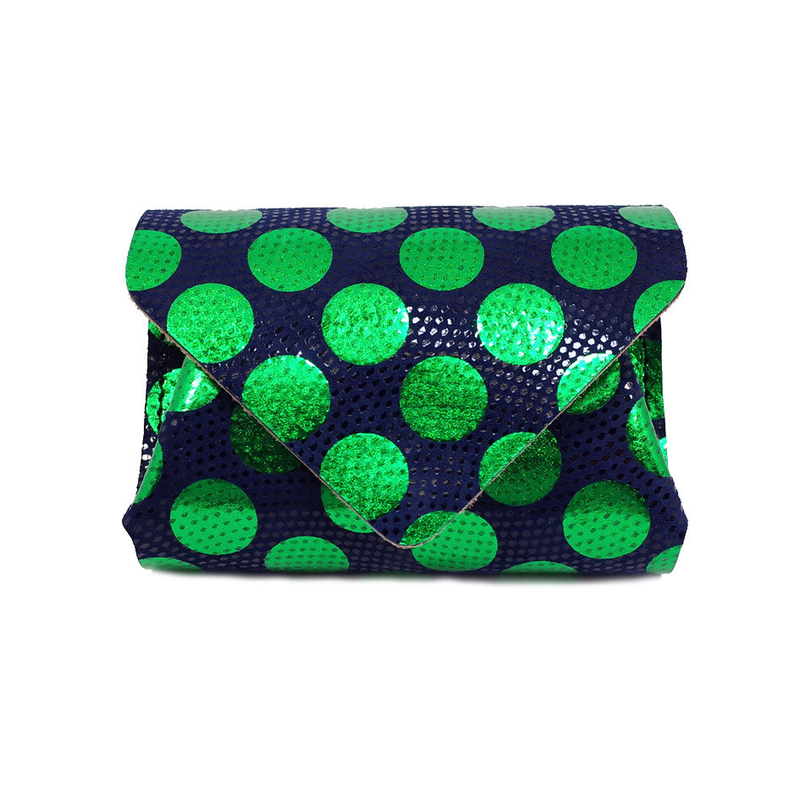 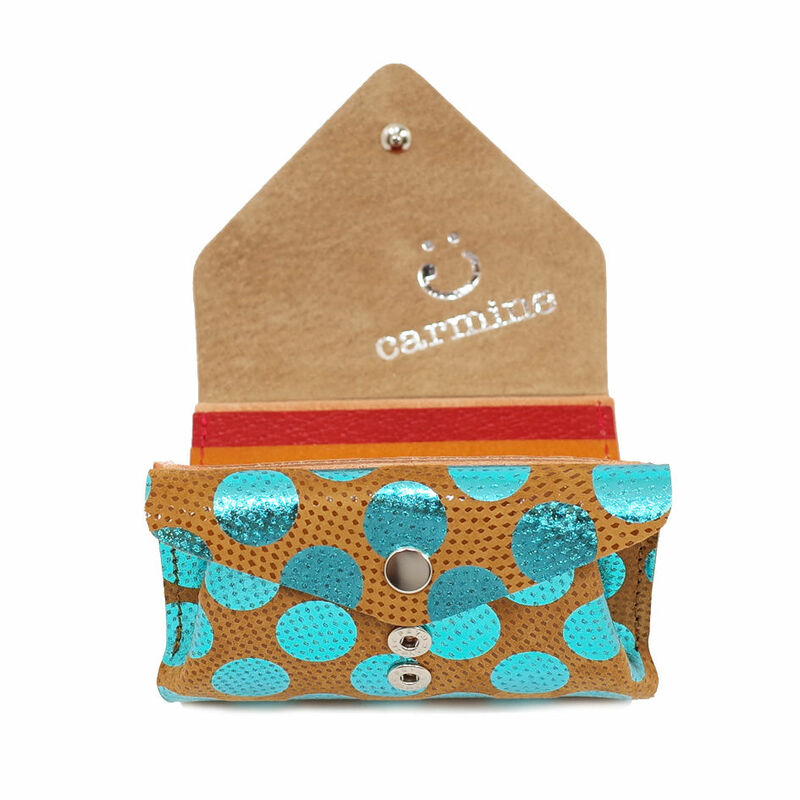 This wallet is a fun item with metallic dots and colorful leather inside. 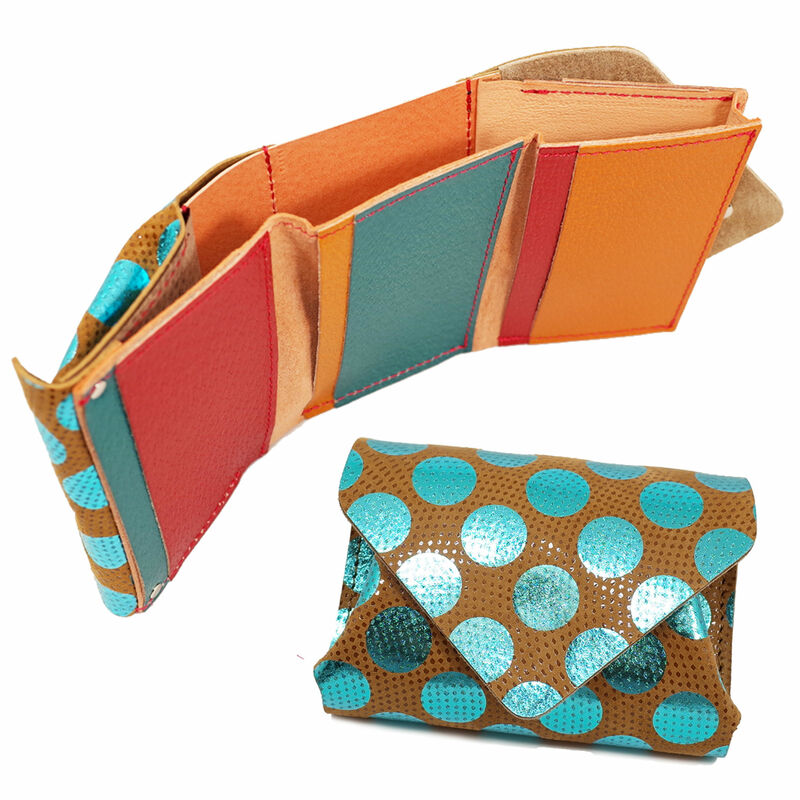 The easy-access pocket on the back is useful as a pass holder.